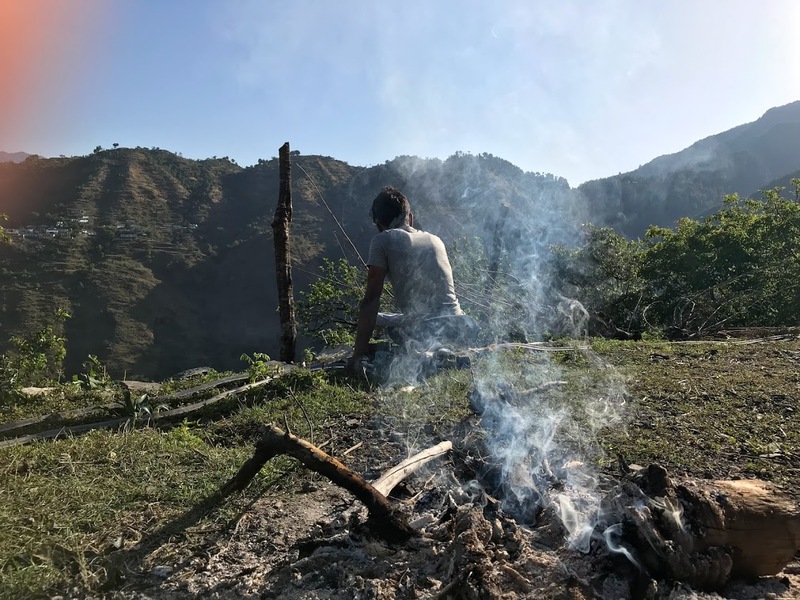 We’ve been dreaming about this potential campsite for travelers near and far to get a tiny taste of the magnificent Himalayan Foothills at 3 hours trek from Landour. If you’re looking for some time to escape from a busy job or trying to find yourself again. We welcome you with open lands where the cool wind will awaken your soul. Our vision is to build a small cottage with basic amenities for hitch-hikers and wanderers who venture out into the unknown terrain of the Kolti Region. With an attached cafe that will keep them cozy while they’re served with hot/cold beverages depending on what the weather is like! Kolti Camp has been a dream to merge two worlds, in conversation, in expression and in the hope of a beautiful life! We want to bridge the two by inviting people from all over to experience the culture, the lands and the beauty of this place while creating jobs for the villagers of Kolti, so they can achieve their own goals too! This project will hopefully put smiles on more faces as we continue to work on making it happen! If you want to be a part of this “good thing”, we ask you to support our vision by helping us however you can. “I’m Guddu, a man living a full life with some physical disabilities, and I’m determined to make my life meaningful by helping those in need and in turn achieve my dream. If you’re good with building structures or are a traveler yourself, or an organic farmer, a chef, an advertiser, a marketer, or just someone who has the funds to help us out, we would love and appreciate your part-taking. To know more about the project, and how you can collaborate your resource, skill and time.